Another Saturday, another card! 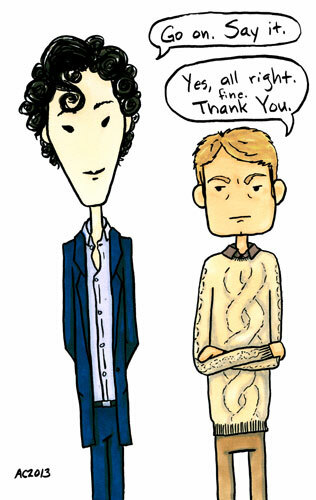 I decided I needed a trio of Sherlock thank-you cards, so you’ll see another next week just to round out the set. This time it’s John who’s rather begrudging the social niceties, which means it’s probably all Sherlock’s fault, somehow. Say Thanks, John, 5″x7″ pen & ink and Copic marker on paper, nfs (sold). 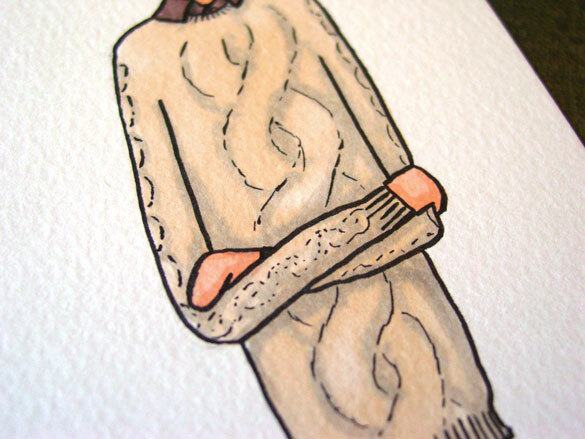 Above, you can see a close-up of the rather detailed cables on John’s sweater, and his grumpy pose. 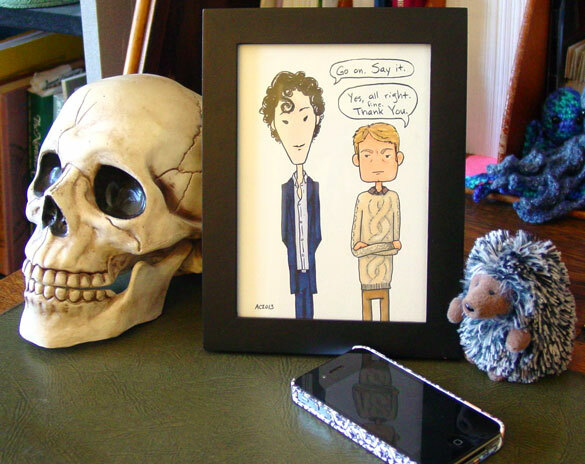 Below, you can see it in a frame, hanging out with a skull, a hedgehog, and my iPhone. And you thought you kept weird company. PS – If it ever frustrates you that certain sorts of fan art are always sold when they go up, you can always commission your own.